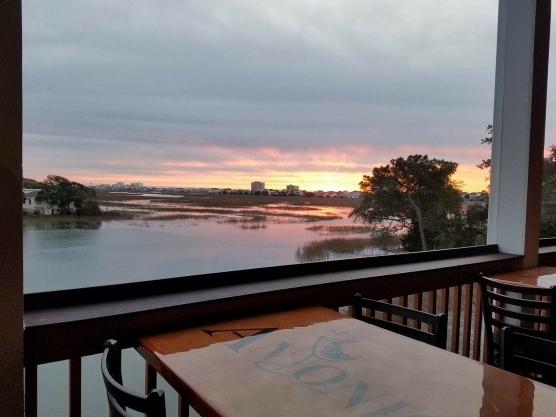 Antonio's Restaurant and Bar is the newest addition to the city of North Myrtle Beach and the Antonio's hospitality family. They are located on Sea Mountain Hwy with majority of our seating overlooking the beautiful House Creek Marsh. The main floor with a gorgeous deck we will be serving an Italian / American cusine known for there wood fire pizzas, fresh seafood, pastas with home-made sauces, hand cut steaks, and an outstanding list of shareable appetizers both authentic and new age. On the top floor they have another deck with a beautiful view and offer live entertainment every night including bands, karaoke, dj's, and trivia nights in the fall season. Also, a game room with two pool tables, darts, golden tee, and silver strike with weekly leagues and tournaments. This is the new perfect spot for any golf group.